M78 Sam Clafin and Gemma Arterton star in STX Entertainment’s “Their Finest”. There have been more movies and TV series set in World War II than any other war, and it’s because it is one of the few wars where there is a clear hero and clear villain viewed no matter what your politics are. Of course there then becomes an oversaturation of these period pieces, but with the recent British film, Their Finest, we get one of the rare, not as discussed subjects of the war era: the film industry who made the war films audiences were seeing while the soldiers were fighting. 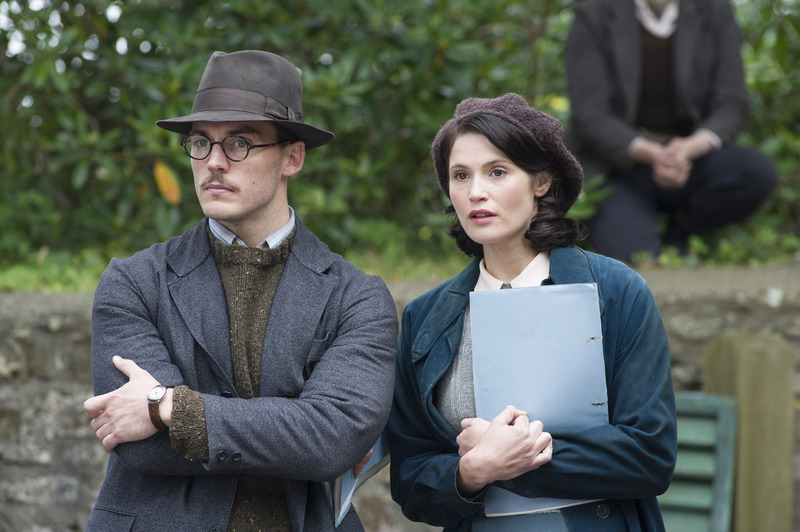 A 1941 married woman Catrin Cole (Gemma Arterton) decides to take a writing gig at a London film studio to make some extra money, when she’s suddenly thrust into the production of a war film that’s supposed to feel genuine, but also patriotic. Catrin and Tom Buckley (Sam Claflin) are the screenwriters given the task for the plot, veteran character actor Ambrose Hilliard (Bill Nighy) is one of the film’s leads, US soldier Carl Lundbeck (Jake Lacy) is given a special role and Ellis Cole (Jack Huston) is Catrin’s artist husband at home. Their Finest is directed by Lone Scherfig of An Education (2009), and adapted by Gaby Chiappe from Lissa Evans’ book. Though the film includes tragedy in a few scenes, the tone of the film is primarily light-hearted. There is a decent, well directed love triangle between the leads, the usual comic relief from Nighy and some rather interesting insight into how historical-set films are written and produced. Definitely the most intriguing film this month so far.